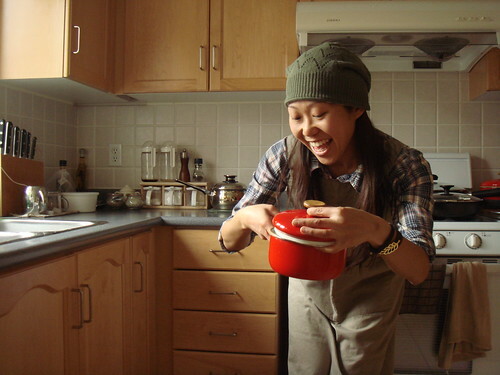 My name is Candy and I am an avid home cook who started learning my way around the kitchen by taking baking classes at George Brown College’s hospitality school. I love the precision and creativity of the sweet kitchen but as a competitive inline speed skater, I need to eat healthy on a daily basis to ensure my best performance at training and races. Dessert By Candy is my space to explore both the decadence of dessert and deliciously nourishing savoury dishes. As I become more confident with my cooking skills, home cooking also plays a more important role in my life. Not only do I get to eat well, I get to share the fruits of my labour with loved ones regularly. I love varieties in food. On a typical day, you would likely find at least 5 different cheeses, legumes, whole grains, and a medley of fruits and vegetables at my house. Oh, and I haven't even touched on all the nuts and chocolates and dried fruit and flours for my baking adventures! I’ve been blogging at Dessert By Candy since March 2005 which seems like a lifetime ago. However, only since late 2010 I decided to focus on sharing with you my experiences in home cooking and baking. This is largely influenced by subscribing to Community Shared Agriculture program at Kawartha CSA. Every week I receive an abundance of farm-fresh produce and the countdown is on to incorporate them to nutritious meals. I live in Ontario, Canada with many wonderful locally farmed fruits and vegetable readily available. For this reason, I dabble in canning and preserving as well and it makes me happy to look at all the pretty little jars in my larder. I rarely dine out anymore but when I do, it’s mostly part of my travel experience which I also document here. Aside from cooking and baking, gift wrapping is another outlet for my creativity. Every year I host bake sales and prepare lots of holiday gifts with edible goodies from my kitchen. Presenting them in the prettiest way is part of the fun. Perhaps you can find some inspiration for your own presents too. I hope you enjoy reading Dessert By Candy. You can also find me at Facebook, Twitter, or dessertbycandy [at] hotmail [dot] com. 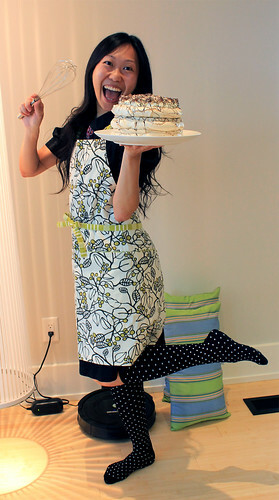 For the most up-to-the-minute look inside my kitchen, visit Mini Dessert By Candy. I love to hear from you so don’t be shy!